Prior to your trial, your injury lawyers in Newport Beach may explain the American legal process of a jury trial to you. Additionally, your injury attorney in Newport Beach may conduct a mock trial with you so that you can get a better understanding of the process ahead. 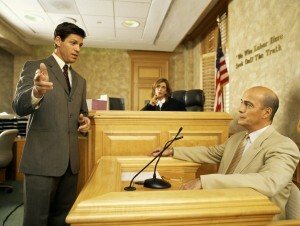 Your attorney may also provide you with tips on how to be a good witness, like the ones below. Individuals who speak with confidence may be believed more than individuals who speak in a low tone and seem as if they have something to hide. The jury may have more faith in you if you speak from a source of confidence. Your injury lawyers in Newport Beach or the defense counsel may sometimes place a document in front of you. However, this does not mean that you must immediately look down at the information that has been provided to you. Instead, maintain eye contact so that the jury can see that you are still confident. Once an attorney asks you a question, simply listen to the question instead of referring to the papers. After the attorney asks you the question, you may wish to refer to the paper in front of you. However, do not talk and look at the same time because you may be distracted. Instead, look over the information, look up at the lawyer and respond. If you would like more information on how to be a good witness, contact an injury lawyer in Newport Beach from Russell & Lazarus APC at 949-851-0222.